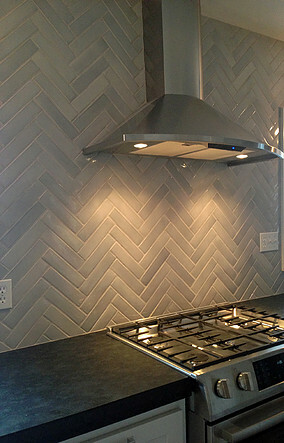 Hand crafted tile is just that - hand crafted. Variation is inherent in these products and is to be expected. Glaze, hue and shade coloration, tile thickness, hand-painted line thicknesses, and to some extent, the hand-molded shape of the tile itself all vary from tile to tile. 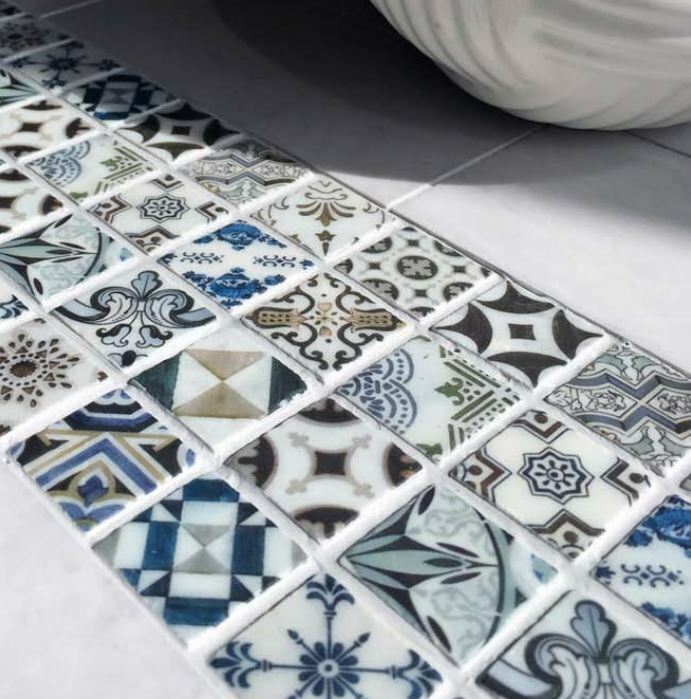 The finished installation, when considered as a sum of its varied parts, will reflect “the perfection of imperfection.” Handcrafted tile-shape variation typically requires wider-set grout joints in order to render a perfectly spaced installation. 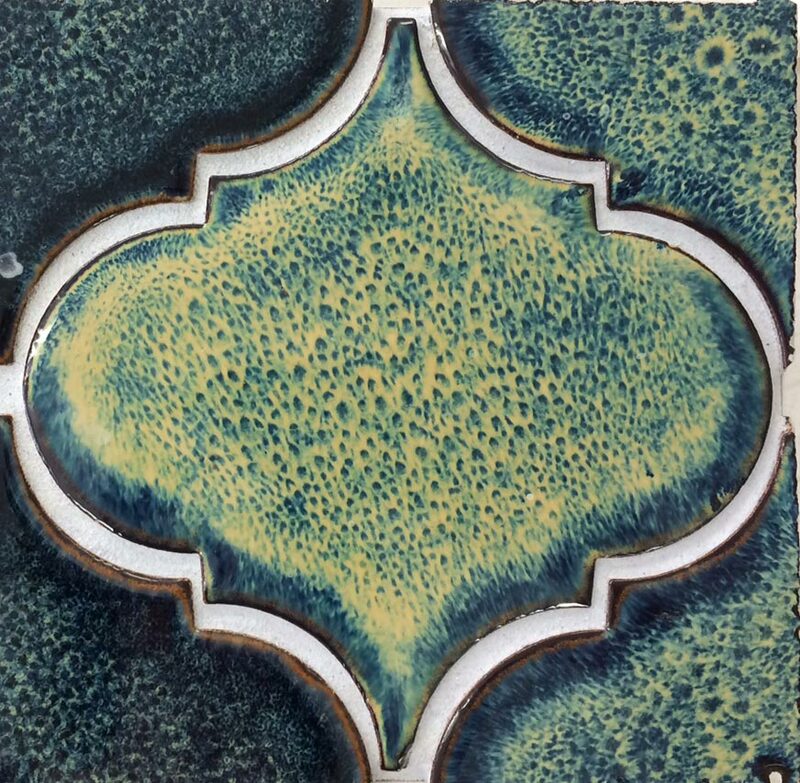 When ceramic tiles are glazed, the glaze is applied to the outside of the tile and the tile is fired in the kiln. 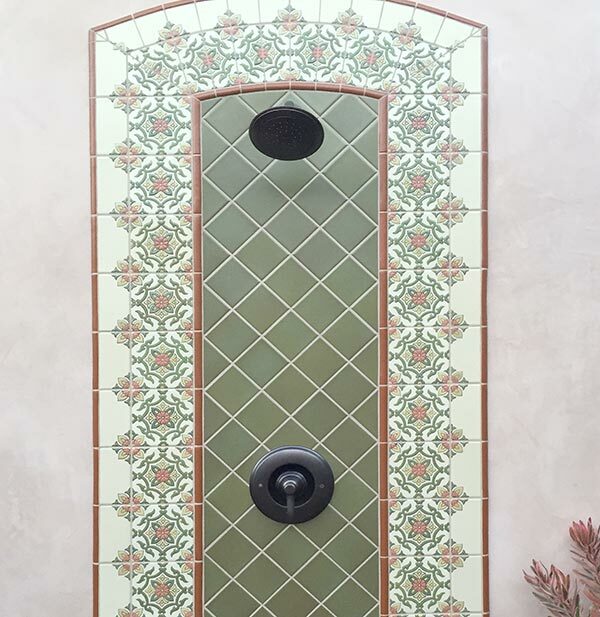 The resulting glazed tile is hard, non-porous, stain resistant and easy to clean. 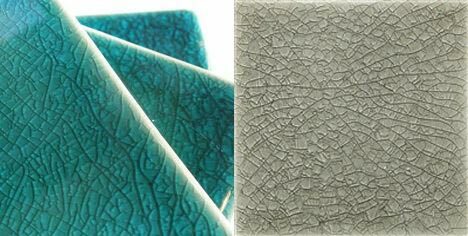 Glazes can be high-gloss, matte, transparent or opaque, each creating many unique appearances. 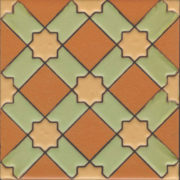 Since the glaze does not go all the way through the tile, if it is chipped a different inner color will show through. 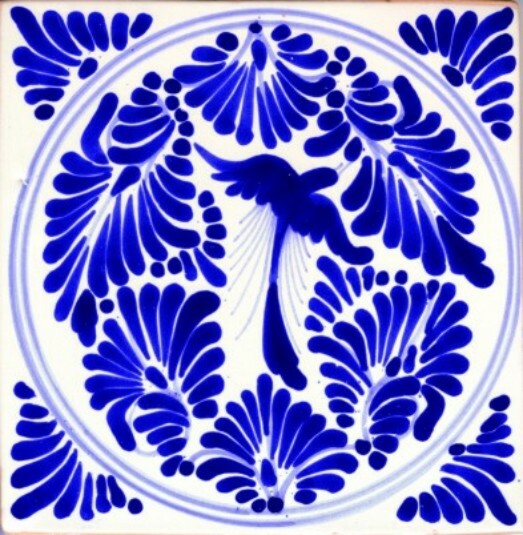 Hand-painted and glazed tiles naturally vary due to brush stroke or spray method and execution by different artists. 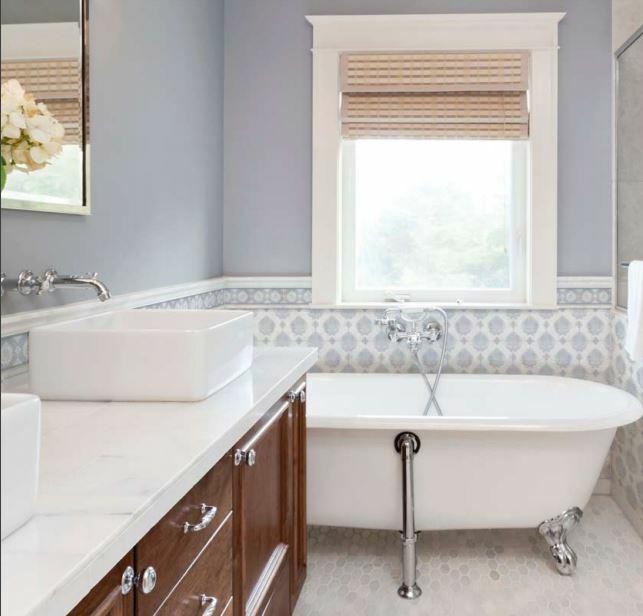 Factors such as two different lots being painted months apart where even the same artist may paint a design slightly differently affects the variation in each piece. 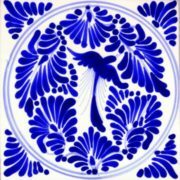 Some glazes are applied by brush while others are sprayed or airbrushed onto the clay body. 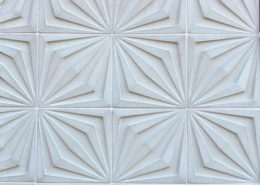 In the case of an airbrushed glaze, each tile body is sprayed and weighed until the weight indicates a specific amount of glaze has been applied. 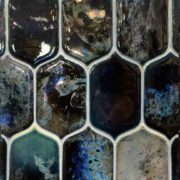 This ensures the piece will fire with the coverage and exact color hue and degree of transparency selected within an acceptable range of variation. Hand-glazed tiles should be “shuffled” prior to installation to ensure variation is evenly distributed. 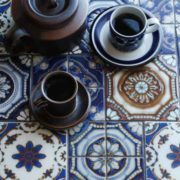 Anything but boring, crackle glaze tiles are uniquely charming due to the depth and variation their glaze gives them which is accentuated by the crackles. 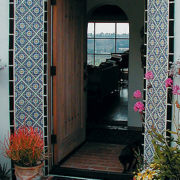 In “crackle” tiles, the glaze surface itself develops the cracks, not the tile body. 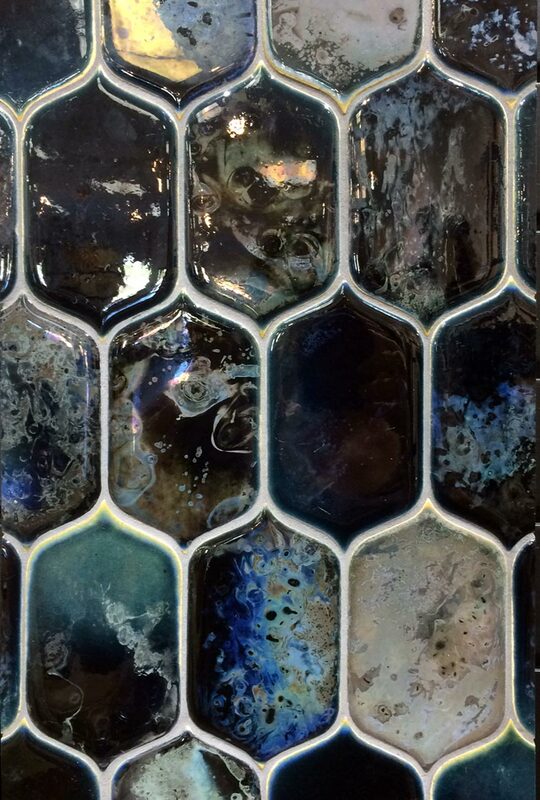 As a result, crackle glazes are more prone to staining including water-staining in wet areas, and are intended for use on interior wall surfaces. 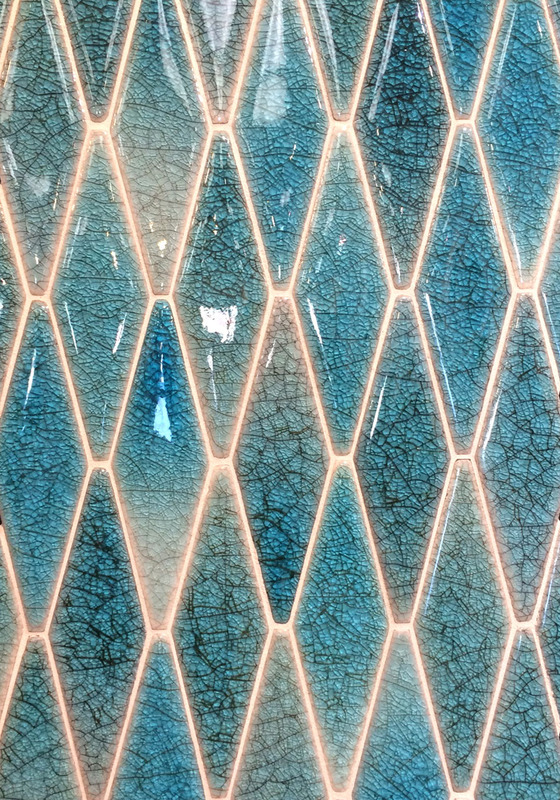 As with any transparent glaze, scratches may show more easily. 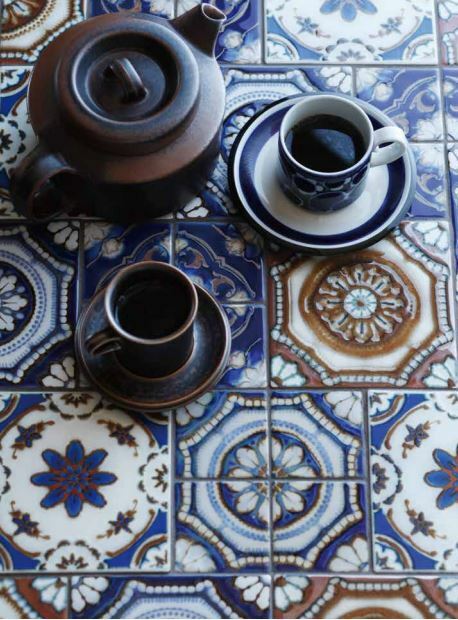 Dark grouts may stain crackle tiles and require pre-sealing with a penetrating sealer prior to grouting. 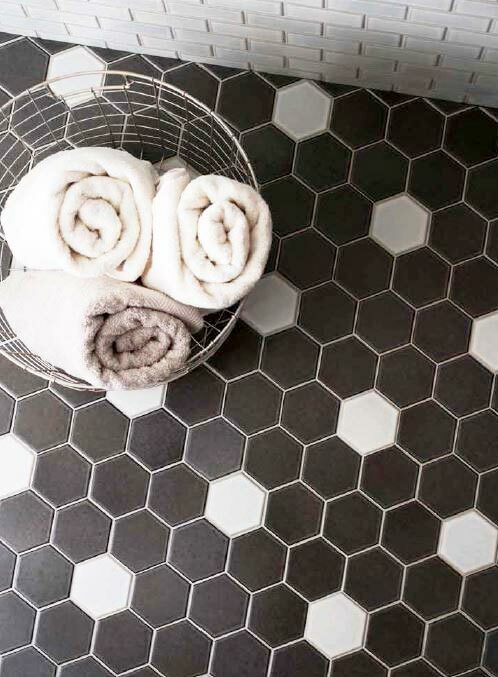 If a dark grout is desired, sealer and grout must be tested on tile prior to installation. 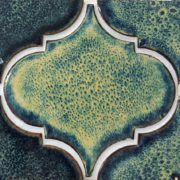 Appearances can sometime be deceiving as there are some rare exceptions to tiles that may otherwise look like a delicate crackle glaze, but perform entirely differently. 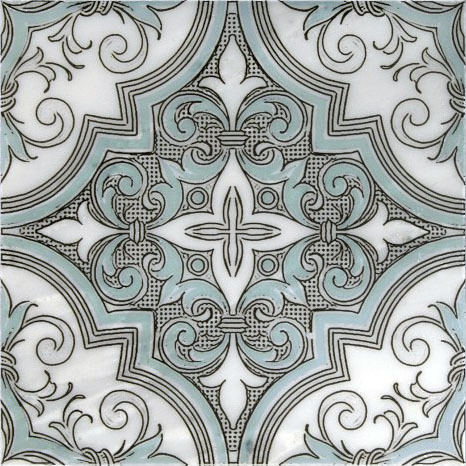 One such example is Sonoma Tilemaker's "Euphoria" line (pictured in the preceding segment), which has achieved "porcelain status" and is rated for pool line use. 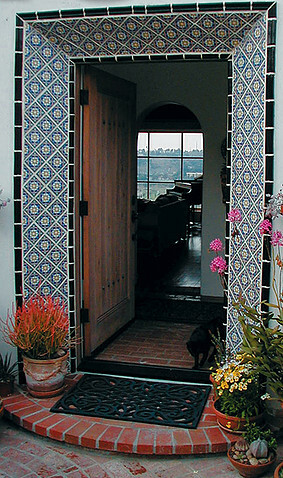 Consistent periodic application of a penetrating sealer is the most important maintenance step for a crackle tile installation. 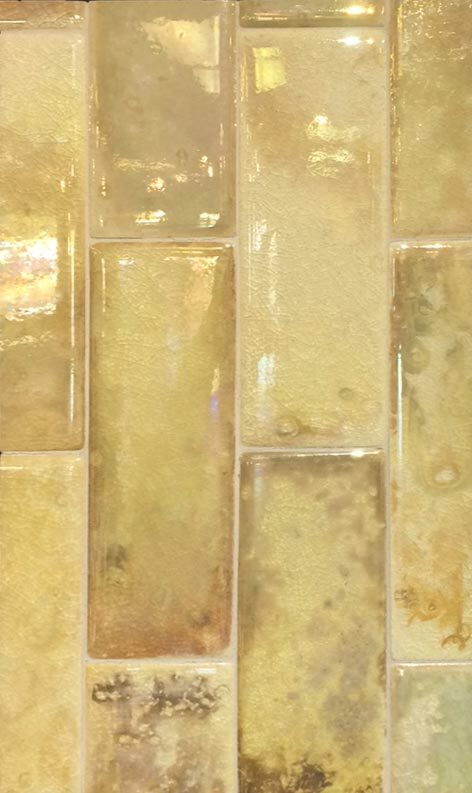 Unsealed tile will stain. 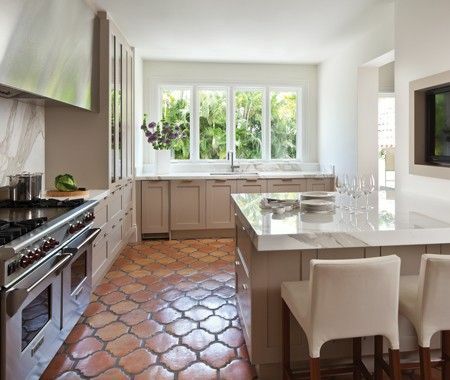 Liquids and water may seep between the crackles and stain the tile’s clay body. Constant water seepage can compromise the integrity of an installation. Crackle glazes also continues to crackle throughout their lifetime necessitating a resealing schedule that is dependent on the installation location and amount of use (every 6 months in a wet area). These pieces are very dimensional. 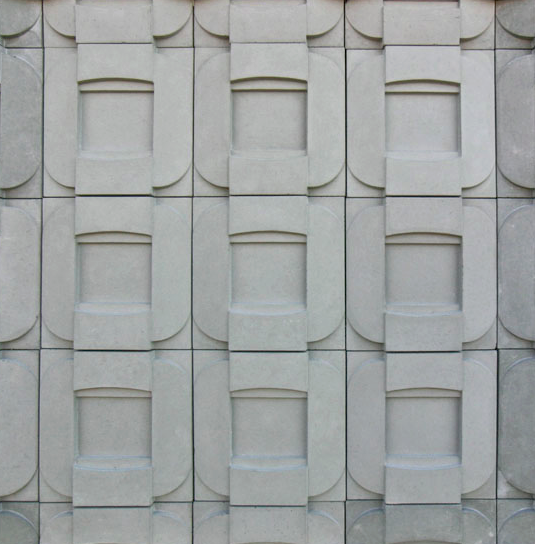 Each tile is individually carved in relief, modeled in clay or pressed into a mold. 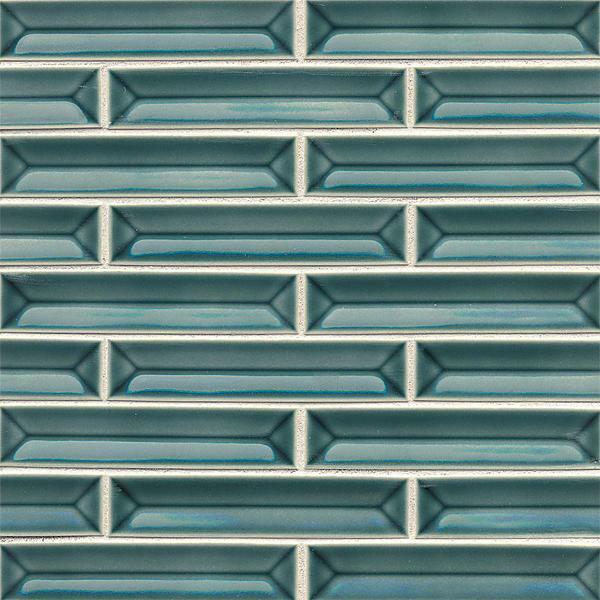 If glazed, "glaze pooling" emphasizes the three-dimensional appearance of the work. 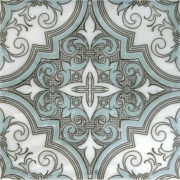 San Diego Marble and Tile is proud to offer the hand-printed design collections of StoneImpressions. 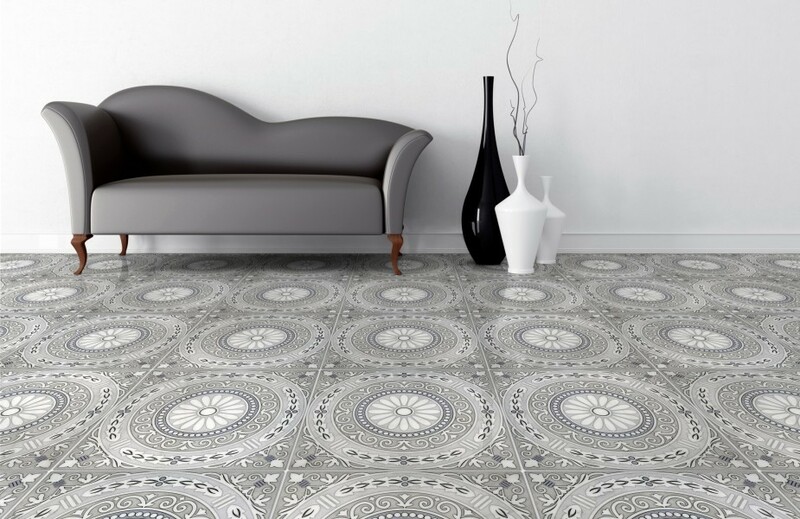 A perfect mix of modern technology meeting old world craftsmanship, the tiles are created using an exclusive artist-developed process for hand printing on natural stone. 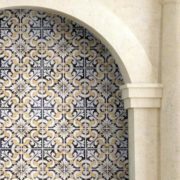 Stone Impression’s offers an extensive library of pattern tiles from old world to modern including murals for range features in various sizes on Travertine, Durango, Limestone, Botticino, Carrara, Thassos, Ice Grey and Crema Ella natural stone tiles. Don't see what you want? Custom designs are also available! All products ship out of San Diego, California in two weeks or less. 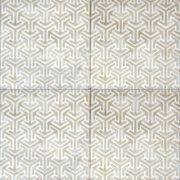 StoneImpressions products are intended for interior vertical and low traffic residential flooring installations only. 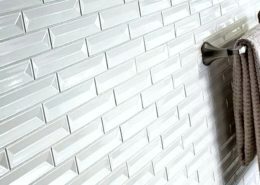 The tile finishes are tough and durable, but need to be protected from scratching. 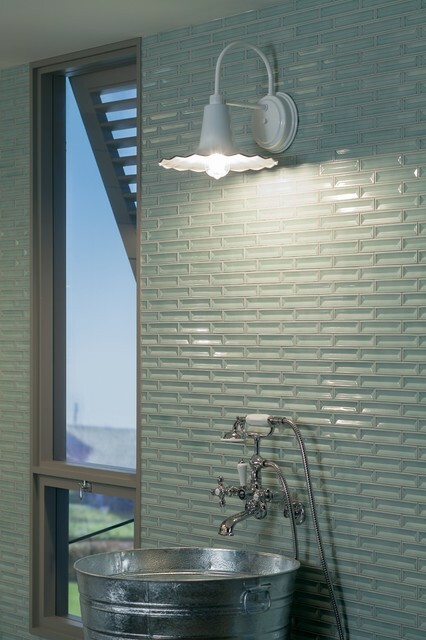 These pieces are not intended for use in waterlines or in steam showers. 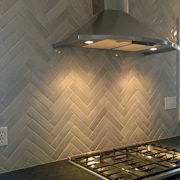 If properly sealed, tiles may be used in areas with light moisture (where the product will be splashed but will not remain wet for extended periods of time). 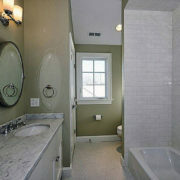 Examples of light moisture areas are tub surrounds or shower walls. A high quality waterproofing system such as the ones by Schluter and Laticrete MUST be used. 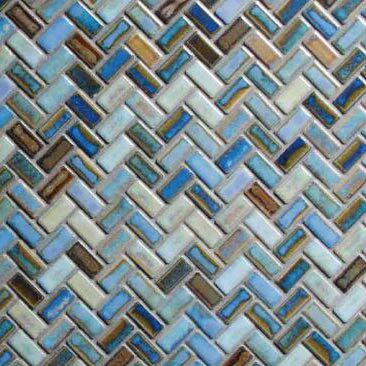 The tiles also MUST be sealed on ALL six sides prior to installation by submerging tile in a high quality penetrating sealer for 5 minutes. 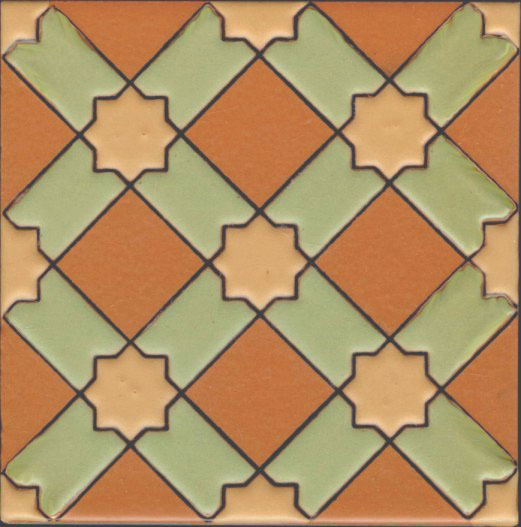 Unglazed ceramic tiles go by several names including quarry, terracotta and saltillo. 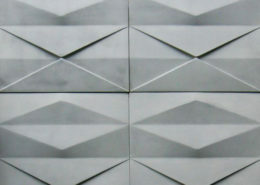 Each type of unglazed body has unique durability properties based on production techniques or materials and its firing temperature. 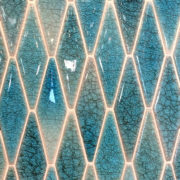 Pieces are historically handmade, however there are machine-made products on the market however with less resulting character than their handmade counterparts. If chipped or worn due to heavy traffic, the body color will be the same. 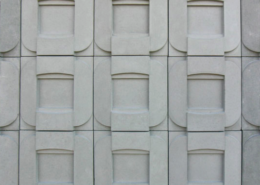 The wear layer, or concrete tile face, is a mixture of highly resistant portland white cement, powdered white marble and natural pigments. Wear resistance, color and brightness rely on the quality of this layer. 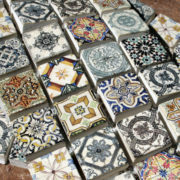 The finished encaustic tile has a natural-finish surface and these hand-crafted floor tiles can be sealed or polished. This is a mortar made of fine sand and high quality portland cement. 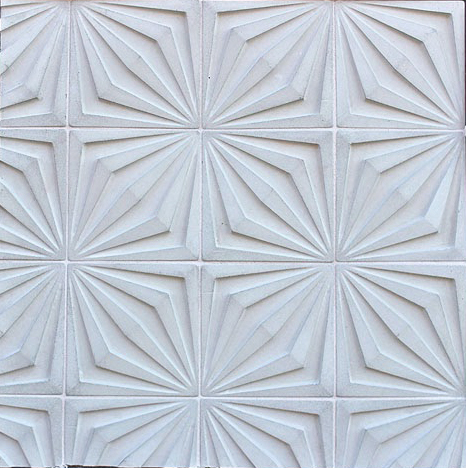 For tile manufacturing, this mortar is applied as a base and reinforces the first layer. It provides the ability to withstand compression loads. This final layer is a porous mixture with the required thickness for impact strength before and after installation. 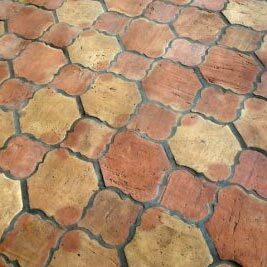 A good quality concrete tile should be compact and waterproof. 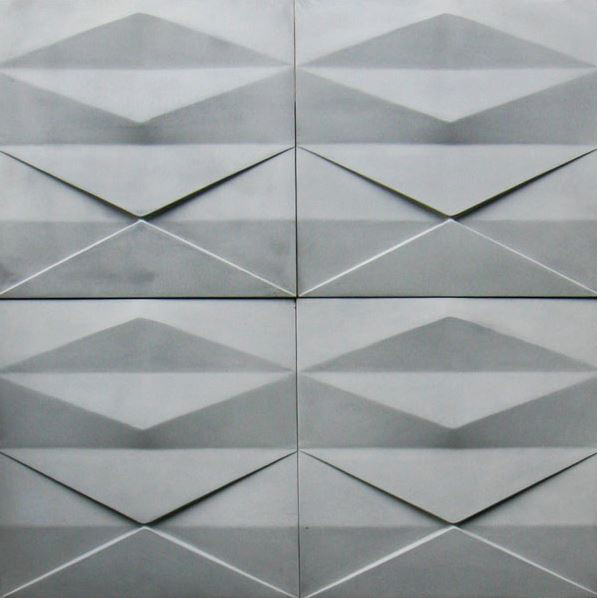 Tiles are made using mixtures rich in quality cement and hydraulically pressed or in some cases, hand-pressed. 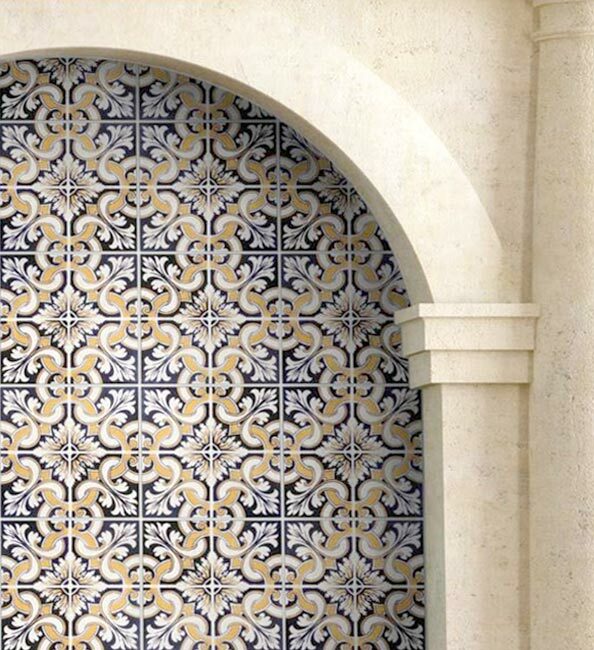 A thorough curing process is also implemented to fortify the cement floor tile. 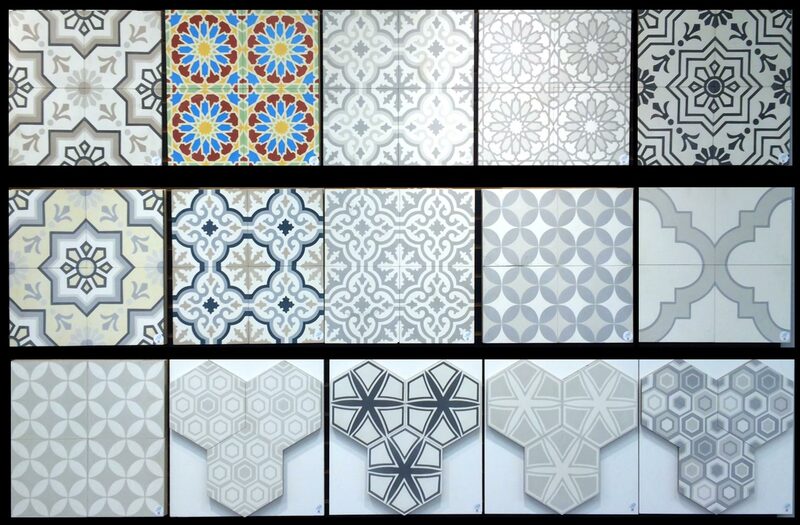 These tiles are suitable for interior walls and floors and in sealed exterior applications. 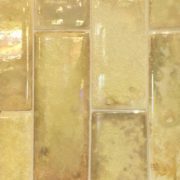 Finishes offered include “natural or matte,” “sealed or waxed.” Color may fade slightly over time if exposed to direct sunlight. 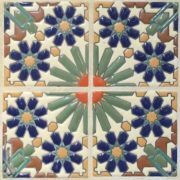 Encaustic Cement Tile is a green, environmentally friendly product, created using basic earth components and a centuries old method. 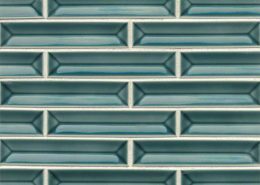 Cement tiles never have to be kiln-fired, which means that the amount of energy used in the manufacturing process is very low. 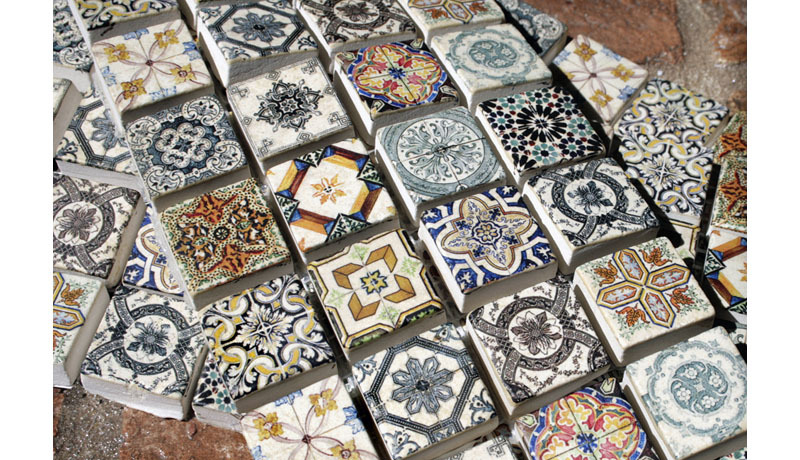 Because they are colored with natural earth-based pigments and no firing is required, no pollution creating fossil fuels are used and no fumes are emitted in tile production. The process also does not employ any harsh, environmentally unsafe chemicals. 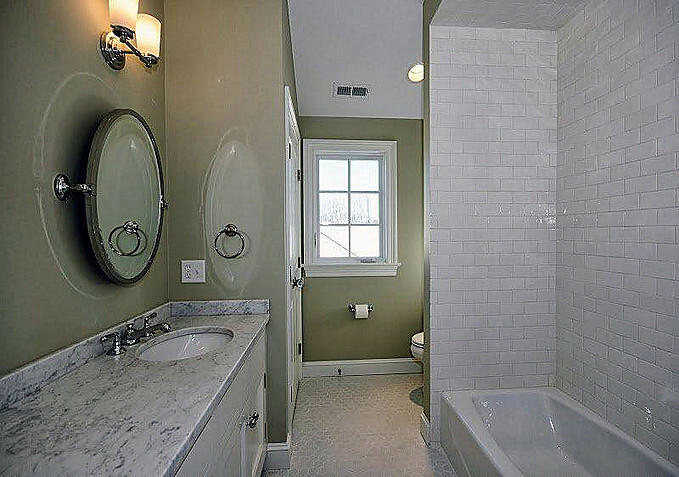 Clean regularly and mop with clear water or a neutral detergent. 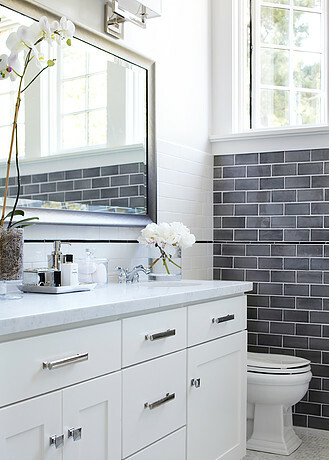 If necessary, buff tiles with a white pad. It is important to remove abrasive grit that may cause wear. Sweeping or dust mopping regularly will protect your floor. The use of properly sized walk-off mats at entrances will also help. Water spotting will be eliminated through an ongoing maintenance routine. Extremely heavy foot traffic may require additional maintenance. 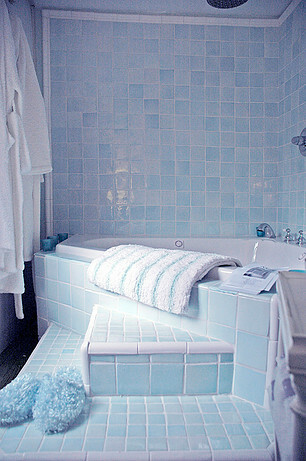 Periodic resealing may be necessary depending on wear and use. 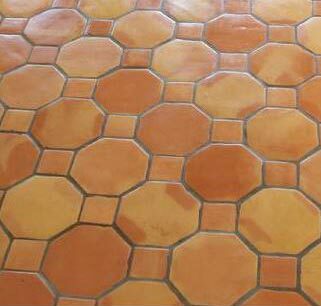 A natural patina will occur as the floor wears and is properly maintained. 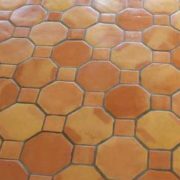 Never use acidic cleaners-they will damage the tile.